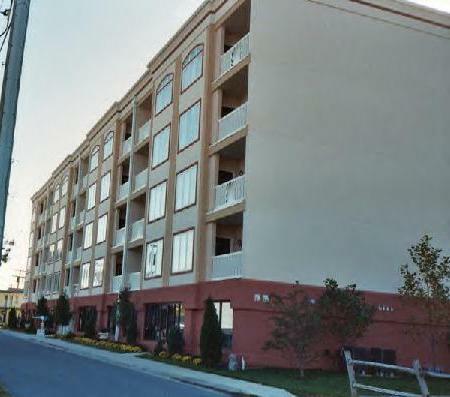 The Potomac Renaissance Condos are located at 100 Taylor Street. Construction began in 2006. I remember seeing these modular units (www.mod-u-kraf.com) being stacked up just like the building blocks I used to play with when I was a kid. Value Craft Homes was the contractor on this project, managed by Kevin McKinny and the finish date (for Building One) was February of 2007. 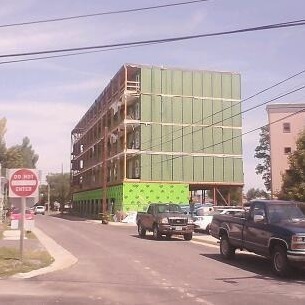 The result is a nice five story building with four stories of living units above a concrete/steel drive-under garage. 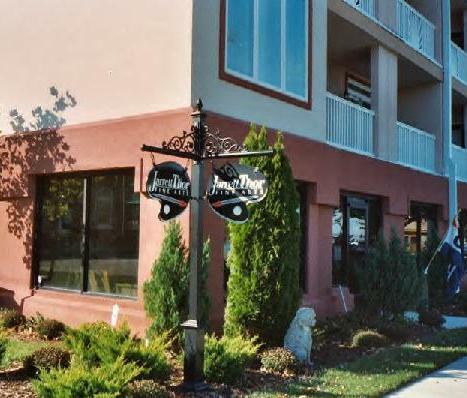 On the front side, there are commercial units available for lease. One of those spaces is occupied by Jarrett Thor Gallery. There are 28 living units ranging from 934 to 1433 square feet that offer 2 or 3 bedrooms with 2 baths. Features include granite countertops, stainless steel appliances, separate laundry room, walk-in closets, high speed internet, cable, jacuzzi tub, separate shower and private balcony with waterfront and beachfront views. Since we do get the occasional hurricane here, the building is built to withstand 100-mph winds and features full fire safety and alarm systems. Elevators service all floors in the building and there are two stairwells. The building's exterior is stucco and features a flat commercial roof with a parapet around the perimeter. 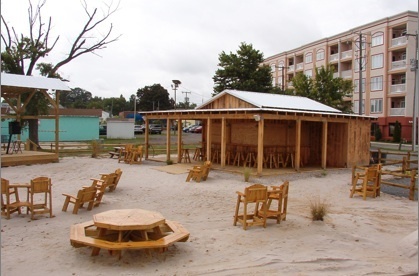 Here's a shot of the condos behind the then newly-constructed "tiki bar" area next to High Tides restaurant. Potomac Renaissance Condos Building 2! 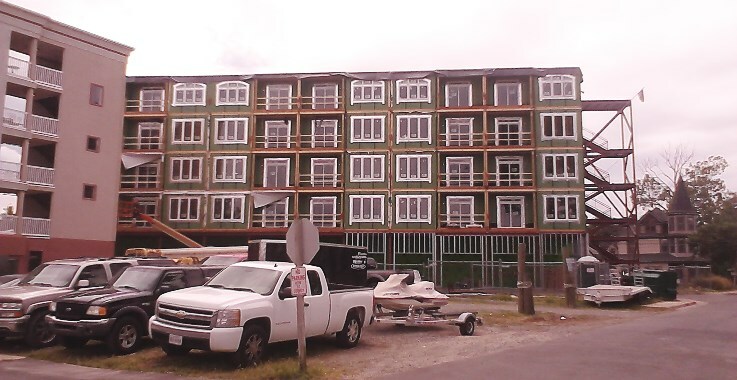 July 2014 Update: A second condo building with 24 units now stands next to the original building, offering the same fantastic water views and other amenities in the two-bedroom, two-bath units. Visit www.potomacrenaissancecondominium.com for details! 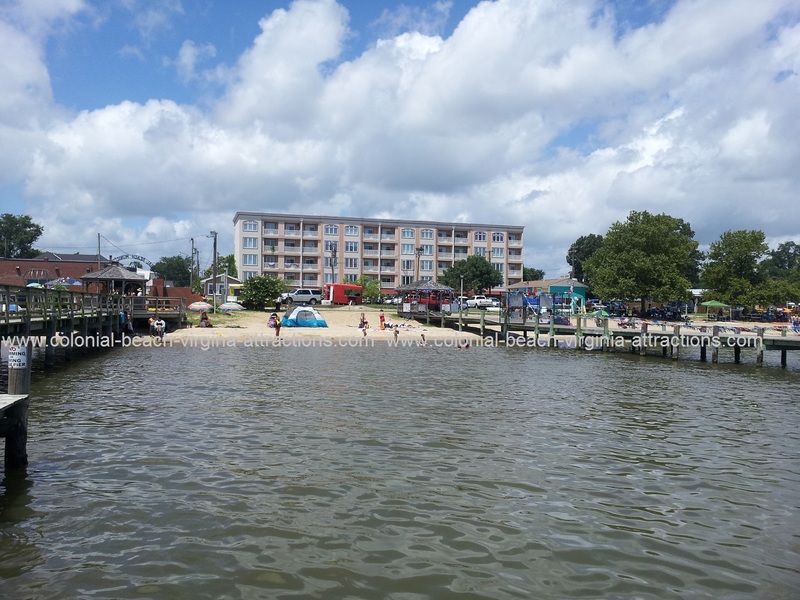 Other condominium buildings in Colonial Beach include the Sundance on beautiful Monroe Bay and the St. John's on the Potomac River side.